When it comes to Nobel laureates, Harvard has plenty to brag about. The 26 affiliates who have won the Prize—including five for the economic sciences—put Harvard in a comfortable place among its competitors: first. But with one star professor’s decision to leave the school at the end of the year, Harvard may not only have lost its 27th Nobel. It may have lost its footing at the top of economics academia. The news came as a shock and a huge blow. Faculty at Harvard and elsewhere have projected that professor Raj Chetty ’00—a MacArthur “Genius” Grant winner and one of the youngest tenured professors in the University’s history—will one day win the Nobel prize. Undergraduates, graduates, and colleagues alike adored him. And Chetty’s close ties to Harvard—he earned both his B.A. and Ph.D. here—only added to the sting of the loss. Chetty wrote in an email that he left for “a mix of personal and professional reasons.” Through his assistant, he declined to comment further. Chetty’s startling resignation brought into harsh light a recent trend of faculty who depart from Harvard’s Economics department to other top schools across the nation, including Alvin E. Roth, who won a Nobel Prize just months before he left for Stanford. 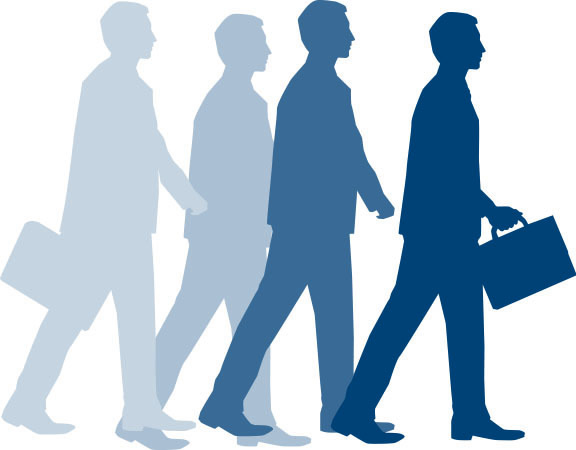 In fact, three of the 12 Economics professors who received tenure since 2006 have since left for jobs at Stanford: Susan C. Athey, Guido W. Imbens, and Chetty. Some professors attribute the recent losses to rising competition from economics programs at peer universities. Others, however, point fingers internally to some of Harvard’s own practices, including competition with salaries, recently stagnant hiring, and insufficient space. “Raj’s departure felt like out of the frying pan, into the fire,” said professor David I. Laibson ’88, who became chair of Harvard’s Economics department in July, but he has met with administrators in the months since. The determination they have shown to confront challenges that have faced the department for years meant he no longer felt “overburdened” by the task ahead, he said. Now more than ever, faculty and administrators are striving to keep Harvard’s name at the top of economics—a challenge that has never seemed so daunting. Harvard has been a dominant name in American economics for as long as professors in the department can remember. For much of the 20th century, its reputation was rivaled only by MIT, and even then professors recall how easy it was to recruit rising stars. But over the past decade, Harvard has been losing that reliable foothold as other universities strengthen their departments and hiring efforts. Harvard’s Economics department still attracts top graduate students and tenure-track faculty, but in recent years, the name “Harvard” just has not been enough to get people to stay, Laibson said. 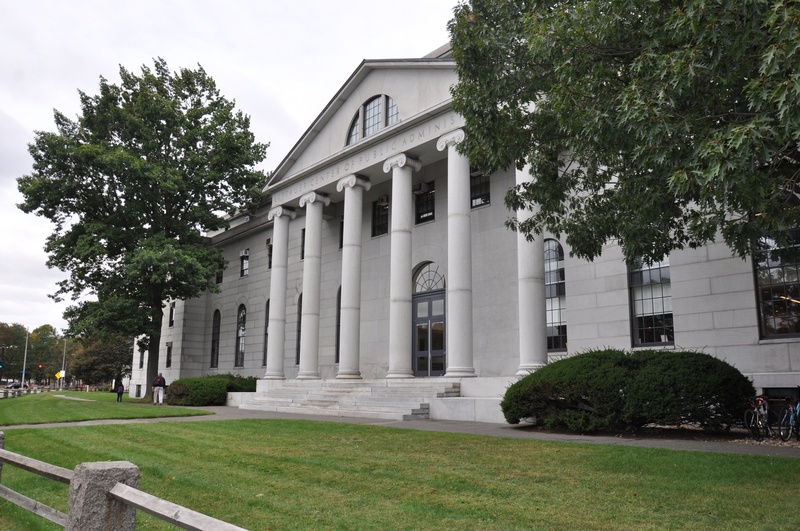 The Littauer Center for Public Administration Building is home to Harvard’s Economics Department. Better salary packages are one way peer departments try to lure away top faculty at rival schools. Other universities, including Stanford, have also made efforts to attract faculty by offering lab space and specifically targeting tenured professors. These competitive hiring efforts have created pools of talent in specific economics fields at other top universities. “I don’t think I could have thought of any place other than Stanford to leave Harvard for,” Roth said, noting Stanford’s strength in his field of market design. Ask Harvard Economics professors what aspects of the department concern them, and most will start with the same issue: space. 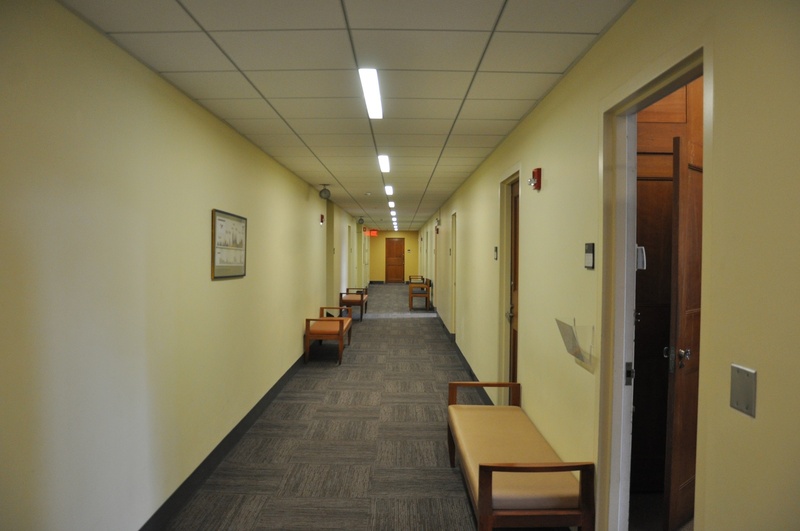 Littauer Center, which houses the department and its professors’ offices, has narrow hallways, few commons spaces, and limited office space, making it difficult for professors to collaborate with their research assistants and students. Laibson said many faculty members in the department, including himself, have to walk across Cambridge to meet with their research teams. A hallway in the Littauer Center, home to the Harvard’s Economics Department. Economics faculty also say that the kind laboratory work common in modern economics—and exemplified by Chetty’s work on government policy—require physical space that is lacking in Littauer and scattered around campus. “You need infrastructure to run the types of projects he is running,” Antràs said. Bernheim said Stanford was working “on much closer collaboration and integration” between its economics research buildings to provide adequate space because of Chetty’s arrival and other new hires. He would not comment on the specifics of Chetty’s hiring package, including any lab space he may receive. And of course, Littauer is old. It hasn’t undergone a major renovation in decades and lacks a functioning air conditioning system. 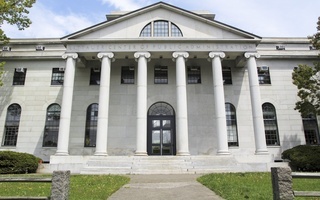 Whether there are plans to renovate Littauer is uncertain. FAS Dean Michael D. Smith would not comment on any plans to add space to the building, though he noted that conversations about department space across FAS are ongoing. Even more, the Fine Arts Library, which moved temporarily to Littauer in 2007 during the renovation of the Fogg Museum, compounds the problem of tight space in the building. 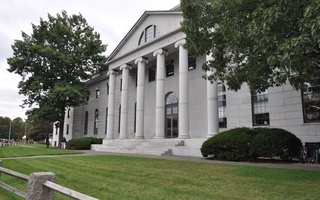 University professor Jerry R. Green said the move “pained” him and that now many books used by the Economics department are housed in the Harvard Depository. But even with the Fogg’s reopening last year, if and when the Fine Arts library might move out is uncertain at best. “It’s a sore subject for the Economics department,” professor Richard N. Cooper said. With these administrative and physical roadblocks, Harvard’s Economics department has spurred to action, launching a campaign spearheaded by its new chair to keep its spot on top. With a surge in support from the FAS administration, Economics professors are hoping to pump vitality into the department with a series of new hires and by alleviating the burden of being the College’s most popular concentration. Increases in ladder faculty were limited in recent years as Harvard faced challenging financial situations from the financial crisis to sequestration, and the Economics department made no tenure-track hires last year. But Smith said FAS will fund new junior positions for Economics this year, and he is discussing opening posts for senior faculty. Laibson said increasing the department’s size with “new talent” will help retain a level of dynamism that will keep professors in Cambridge. Increasing the department’s diversity through the hiring process—a personal goal for his chairmanship—will help in that revitalization, he said. New faculty members will also help alleviate teaching and advising burdens placed on current professors who work in the College’s most popular concentration. With 618 concentrators as of 2014, some professors say they cannot keep up with the undergraduate demand. Amidst the new hiring and departmental changes, though, administrators and faculty members have not forgotten what originally jolted them into action: the loss of Chetty, a deeply admired colleague. —Staff writer Jessica Min can be reached at jessica.min@thecrimson.com. Follow her on Twitter @jessmin17.